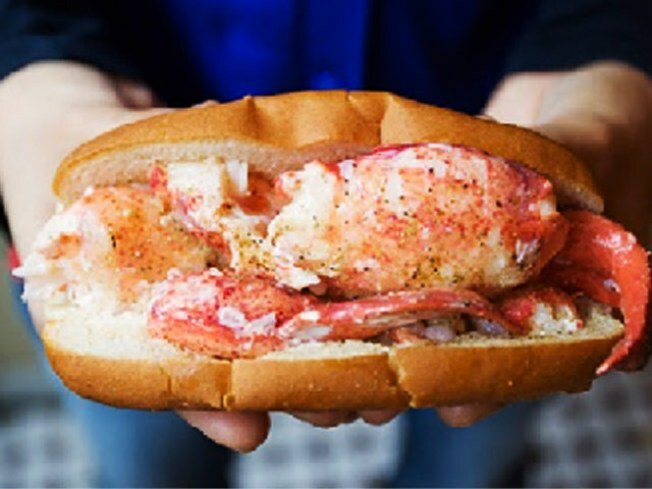 Tuck into a roll from Luke's Lobster, just one of the vendors at the new flea-and-more Hester Street Fair, debuting Saturday. FAIR PLAY: Listen, Brooklyn Flea, we’ll always have FortGreene and DUMBO and the Dime Buildng in winter—but this weekend, we’re going to see other flea markets. Specifically, the Hester Street Fair on the Lower East Side, making its debut on Saturday with vendors of goods perishable and non- (though we’re especially excited about the perishables: roll from Luke’s Lobster and Montreal bagels from Mile End, anyone?) SaturdayandSunday10PM-6PM. THE NEW OLD: Chamber-pop foursome The Morning Benders mine plenty of old-world musical effects—from waltz time and lush strings here, 1970s groove-funk there—but their sound is unquestionably of the now. Check out their latest album “Big Echo,” produced by Chris Taylor of Grizzly Bear, then come hear them at the Music Hall of Williamsburg, Saturday at 9PM. MAY DAY: 92Y Tribeca celebrates the stone-cold (often very dark) brilliance of Elaine May with an evening of films: “Such Good Friends” (1971) casts Dyan Cannon as a woman who learns some uncomfortable truths about her marriage when her husband goes under the knife (May was the script doctor to Joan Didion’s screenplay here). And “A New Leaf” has Walter Matthau as the ultimate skill-deprived old-money WASP who needs to marry rich and sets his sights on May (who also directs). Great stuff all around. “Such Good Friends” is at 6:15PM, “A New Leaf” is at 8:30PM on Saturday. And don’t forget: This is your last weekend to soak up Tim Burton’s mad genius at MoMA—the show closes April 26.